List of stuff you need! 1 x PIDDYBOT Circuit Board! 2 x Switch or use headers. El Cheapo Bluetooth from DX, these are awesome Take forever to order though. Wheels – Take your pick they all work! I recently upgraded to 60mm and I love them. A couple Right angle Headers. 1 x 4 Pin Female Right Angle Header for Bluetooth – or 6-pin cut to 4. 3D printed Body! Thingiverse, or buy it from my Shapeways! to give a little support! My sloppy Code – Coming Shortly! This bluetooth controller for my code – it works great! You can follow the steps of the original assembly guide for the PIDDYBOT but there are a few changes I will describe now. Solder on the Right angle header to the Arduino Pro Mini First – You use this to program it, its not that bad if you forget, but easier if you do it before. 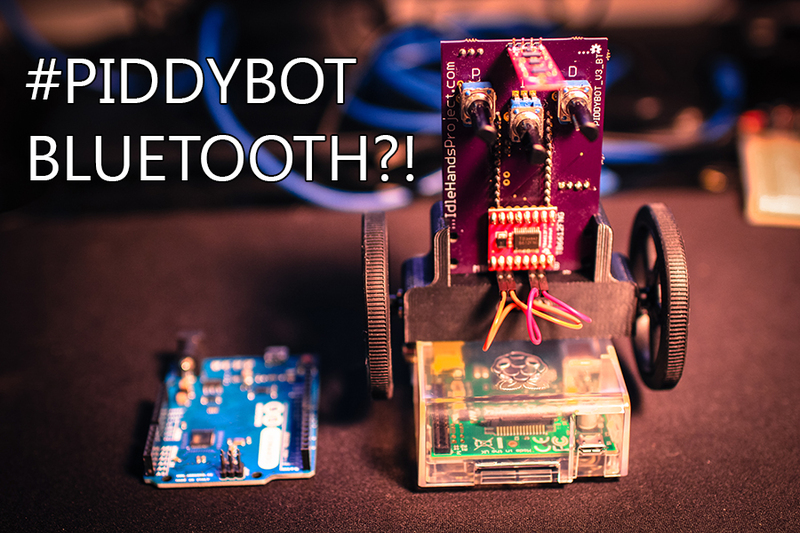 In order to program the Arduino you must not have the bluetooth connected. Therefore you must get a 4-pin female Right angle header(or a cut 6-pin) and solder it in the place of the bluetooth so you can pull it off when you want to program. This is a Serial issue. You can also try to bend the pins on the bluetooth module like I did, its pretty easy, but there is a chance you can break it. This IMU is longer, you may want to print a protector for it. I think I made one but have not tested its fitment yet. My PIDDYBOT has fallen pretty hard, but the motor wires catch it most of the time, no broken sensor yet! Now for the real exciting update! For the last little while I have been thinking about making my own version of the PIDDYBOT with all of the components on board. This will make it more difficult to solder for those who wish to do it themselves(surface mount). The plus will be that he will cost a lot less. 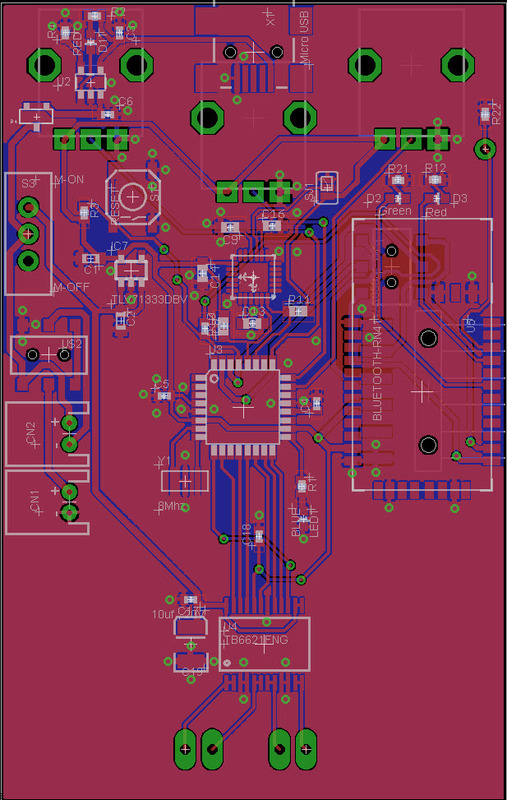 At some point I will be running a KickStarter where the circuit boards, populated and un-populated will be available. I will also have full kits and full PIDDYBOTs available as well. I would like the PIDDYBOT to become a really functional developmental tool for students, and the KickStarter will help me get my startup company, Idle Hands Development, running. I will be aiming to create more small bots that will aid in the development of robotics or programming for children or adults alike. They will be unique to what is available now, and cover a lot of different techniques and algorithms that are not often shown. Like PID tuning ;). Since I will be moving to the Atmega32U4 I picked up an Arduino Leonardo at Newark to do some testing with the USB programming function. A lot different than the UNO but it will do, and save space on the PIDDYBOT. Here is a teaser circuit. Remember, if you make a PIDDYBOT be sure to tag #PIDDYBOT in any of your Twitter or Vine posts about them. I love seeing them!